Democracy has historically played little role in driving global health. Autocracies, such as China and Cuba, are famous for providing good health care at low cost. Many countries that experienced the greatest improvements in life expectancy and child mortality over the last fifteen years—such as Ethiopia, Myanmar, and Rwanda—are also among the least democratic nations [PDF] in the world. Aid agencies often emphasize the importance of democratic governance, but the distribution of foreign aid has no correlation, or even a negative correlation, with democracy in recipient nations. The past may not be prologue, however, when it comes to democracy and global health. The health needs of low- and middle-income countries are changing: infectious diseases and child mortality rates are declining. Heart disease, cancers, and other noncommunicable diseases (NCDs) and injuries now cause most of the premature deaths (under age fifty-nine) in developing nations. Noncommunicable diseases and injuries are generally more expensive to treat than infectious diseases, requiring more health-care infrastructure, such as hospital beds and surgical facilities, and more skilled health workers. Little foreign aid targets noncommunicable diseases and injuries. 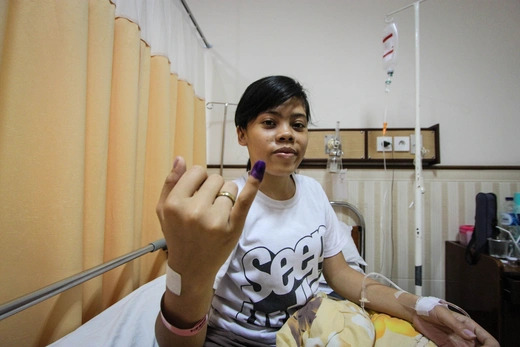 Without the accountability that comes with free and fair elections, or external pressure or validation from international aid donors, autocratic leaders have less incentive than their democratic counterparts to finance the prevention and treatment of NCDs and injuries. New research published in the Lancet shows that, between 1980 and 2016, the democratic experience of a nation—an indicator of how democratic a country has been and for how long—was more responsible for reductions in mortality from cardiovascular diseases, transportation injuries, cancers, and most other noncommunicable diseases than the level of gross domestic product (GDP) or urbanization in that nation, or the amount of international aid it received (see below). By contrast, democracy had little effect on mortality from most infectious diseases and deaths associated with giving birth. The one exception is tuberculosis, which is the leading cause of infectious-disease deaths globally but is targeted with far less international aid than HIV or malaria. Without the same aid resources and external pressure from donors providing that aid, autocracies could have less incentive to invest in preventing and treating tuberculosis than other leading infectious diseases. The role of democracy in addressing noncommunicable diseases and injuries has become greater over time. In recent years, democracy has been an increasingly important factor in reducing deaths from cardiovascular disease and transportation injuries within nations (see below). The opposite is true for HIV, diarrheal diseases, and most other communicable diseases, where democracy matters little. How much does democratic governance improve health, and how do those improvements occur? The figure below seeks to answer both questions. A Lancet study shows that each one-point increase in a country’s democratic experience was associated with a roughly 2 percent decline in deaths from cardiovascular diseases, transportation injuries, and tuberculosis. Although 2 percent may not sound like a lot, it adds up: the median country experienced nearly a five-point increase in its democratic score from 1995 to 2015. In 2016, cardiovascular diseases alone accounted for fourteen million deaths in low- and middle-income countries. Democracy improves health directly because democratic governments are more protective of media freedom and the sharing of health information, more open to feedback from constituents and interest groups, and more willing to use feedback to improve the quality of government health-care services. Past studies have found that the majority of the deaths caused by poor-quality health-care services in low- and middle-income nations are linked to cardiovascular diseases, congenital defects, and tuberculosis—the same diseases and conditions that have lower mortality rates in countries with more democratic experience. Tobacco use is a leading risk factor for cardiovascular disease and tuberculosis infection; democratic governments may be more willing to implement and enforce the excise taxes and cigarette-advertising restrictions needed to reduce tobacco use. Democratically governed citizens are less likely to chronically abuse alcohol, a main factor behind cirrhosis. Democracies are also more likely to increase government spending on health care and boost economic growth, which, in turn, improve the outcomes for some diseases. For example, low-cost medicines exist for managing hypertension, which causes most of the deaths and disabilities from coronary heart disease and stroke worldwide. However, effective hypertension management requires a timely diagnosis, adequate financing for a well-trained health-care workforce, and the consistent procurement of quality medicines through a reliable supply chain. Likewise, chemotherapy for tuberculosis is one of the most cost-effective of all health interventions, but it requires governments to enforce standard diagnostic and treatment protocols, ensure consistent supplies of essential quality-assured medicines, and identify and monitor at-risk individuals. The results of the Lancet study suggest that democracies are more likely to make these health-care investments or generate the economic resources so that patients may do so. 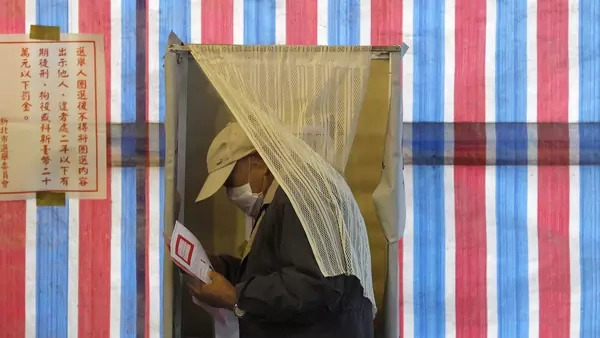 Democracy has its greatest effect on population health when all its components are present, but free and fair elections matter the most for reducing deaths from noncommunicable diseases, tuberculosis, and transportation injuries. Governments chosen by elections without state intimidation, vote buying, election violence, or other systemic irregularities are correlated with reduced deaths from these diseases, even when some of the other core elements of democracy—such as suffrage, freedom of expression, freedom of association, and elected executives—are limited or absent. Without free and fair elections, however, the health benefits of democracy are no longer statistically significant—they effectively disappear (see below). Elections and the health of a nation’s people are increasingly inseparable. Democratic institutions and processes, and particularly free and fair elections, can improve population health, especially with regard to cardiovascular and other noncommunicable diseases. Conversely, aid donors and international health initiatives that ignore elections and the other hallmarks of democracy may be doomed to fail, especially as aid budgets stagnate and countries’ needs shift from infectious diseases and child mortality to noncommunicable diseases, injuries, and adult health. Democracy matters for the future of global health; it is high time that international aid agencies, philanthropies, and national governments began to act like it. This interactive is one in a series of data interactives that CFR is producing on the changes occurring in global health and their broader implications for societies and economies. The first one, The Changing Demographics of Global Health, reveals that population growth and aging are fueling a dramatic rise in noncommunicable diseases in poor countries that lack the health-care systems and funds to handle them. The second, The Future of Global Health Is Urban Health, argues that rapidly urbanizing low-income countries will need to address the health and environmental challenges of urban lives. This interactive was made possible by a generous grant from Bloomberg Philanthropies. The statements made and views expressed are solely the responsibility of the author. The Council on Foreign Relations takes no institutional positions on policy issues and has no affiliation with the U.S. government.